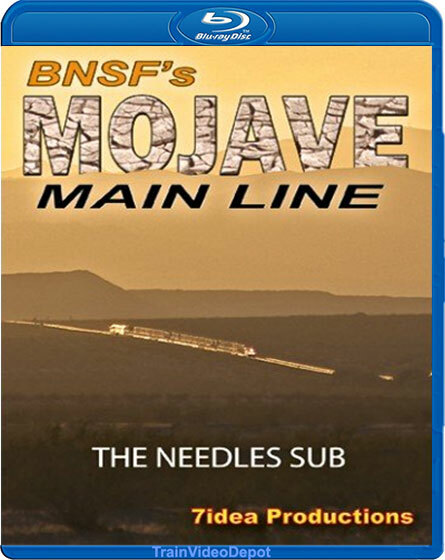 BNSF�s Needles Subdivision travels 170 miles through one of the hottest and driest places in North America: The Mojave Desert. Highlights include the junction with Union Pacific�s Salt Lake City route at Daggett, Ash Hill, the junction with the Arizona & California Railroad at Cadiz, and Goff�s Hill. BNSF 8243 takes a westbound manifest through �the trench� at Ash Hill. Curt (Santa Barbara, CA) on 2018-08-08 05:59:15. This release from 7idea Productions provides the missing piece of the puzzle to BNSF's busy southern Transcon, with coverage now complete to New Mexico. 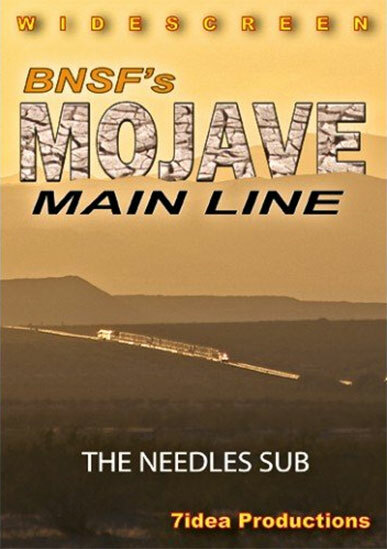 "The Mojave Main Line" gives us an amazing tour, featuring a wide-variety of trains, in the desolation of the the Mojave Desert. Footage includes areas "off the beaten path", which required hiking in to reach places not typically featured on other dvd's. Also shows some amazing sunrise/sunset shots, highlighting the incredible colors of the desert. This one is not to be missed - another great release from 7idea! Rrvidejojunkie (Usa) on 2018-06-11 14:42:46. I enjoy this producers work but this one didn't quite light a fire under me. The trains were largely slow moving and some far away. I would have liked to see more fast trains as they can move well in places on the subdivision. The scenery is nice and great sunsets. I'm sure he will make many more programs that I will enjoy. woody v wilson (IL) on 2018-05-30 09:00:02.